Located just 50 minutes drive west of Sydney, and close to public transport, the St Marys Indoor Shooting Centre caters for everyone from shooters with decades of experience to juniors who are just trying the sport for the first time. 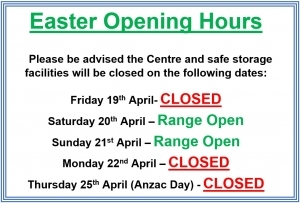 There are 25m and 50m ranges available that are suitable for centrefire, rimfire and pistol shooting as well as firearm storage facilities for members along with a well stocked firearms dealership. The centre has a comfortable fully air-conditioned lounge area. The Range is also home to the St Marys Pistol Club who hold regular competition shoots including Single Action, ISSF matches and Service Pistol almost every night of the week. 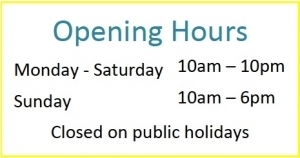 More information about St Marys Pistol Club by clicking the menu above. 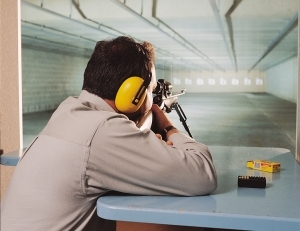 St Marys Indoor Shooting Centre also caters for people who want to try the sport of shooting. If you have never tried the safe, fun and unique range of shooting sports, why not book in for one of our Try Shooting Days? Under the guidance of one of our Try Shooting Instructors you will receive instruction in the safe use of firearms while learning more about the shooting sports. Come along and Try Shooting. 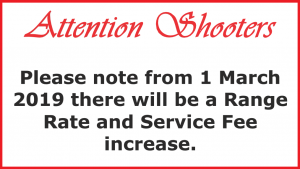 Please note, any licenced pistol shooter must provide current club membership of their club to be able to shoot at St Marys Indoor Shooting Centre. Enclosed footwear, hearing protection and eye protection must be worn. All licences, registration papers and permits that are presented to the St Marys Indoor Shooting Centre front counter must be original documents only.